Texas Stars Hockey Team visits K1 Speed Austin! The National Hockey League is still locked out and cancelling its regular-season schedule through Dec. 30th. But the American Hockey League, serving as the primary developmental circuit for the NHL, is in full force playing out their regular season despite the NHL’s lockout. 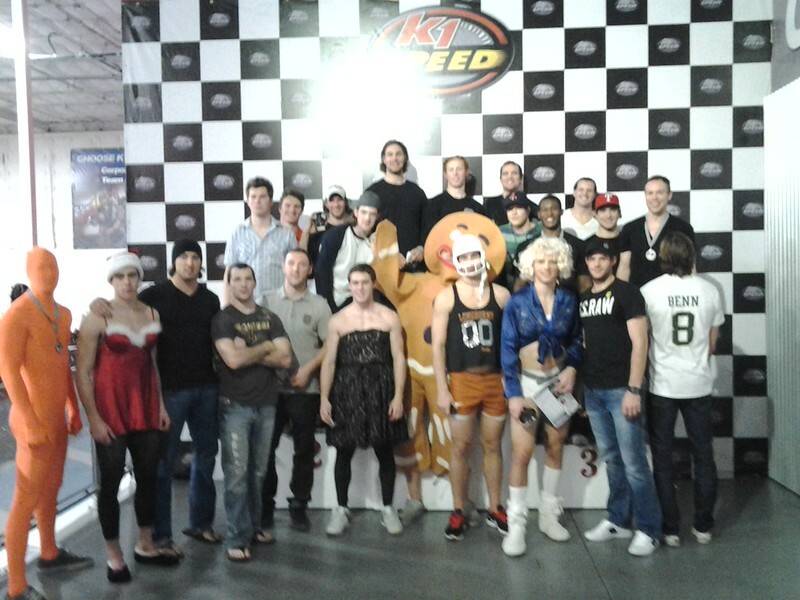 The Texas Stars Hockey Team chose K1 Speed Austin for their annual “Rookie Day” outing yesterday, Sunday, December 9th. The whole team participated in some fun competitive racing on the track. The veterans made the rookies dress up in crazy costumes for the day and took a group photo on our winners podium. Looking good guys! The Texas Stars are the top affiliate of the NHL Dallas Stars and play in Cedar Park, Texas, near Austin.